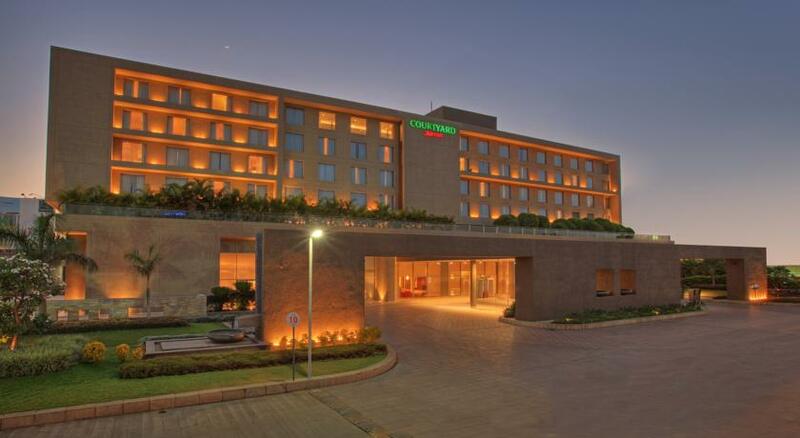 Located along the Mumbai Pune expressway the Courtyard hotel by Marriott is a four star property offering luxurious stay with a variety of dining options. 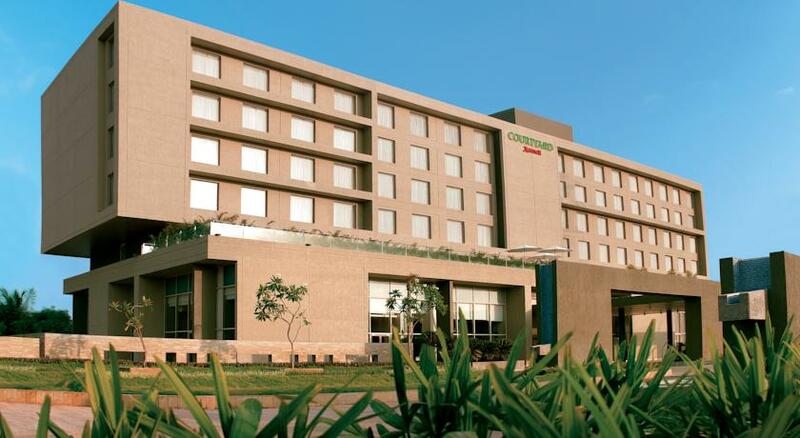 The hotel is very close to Rajiv Gandhi InfoTechPark. 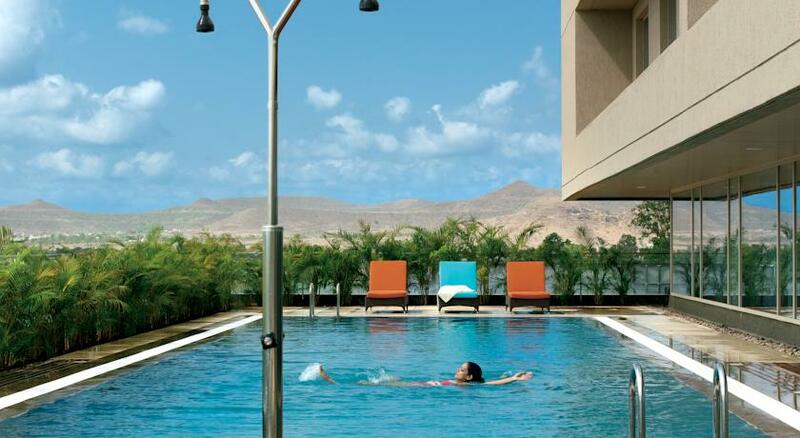 The hotel is a one hour drive from Mumbai. 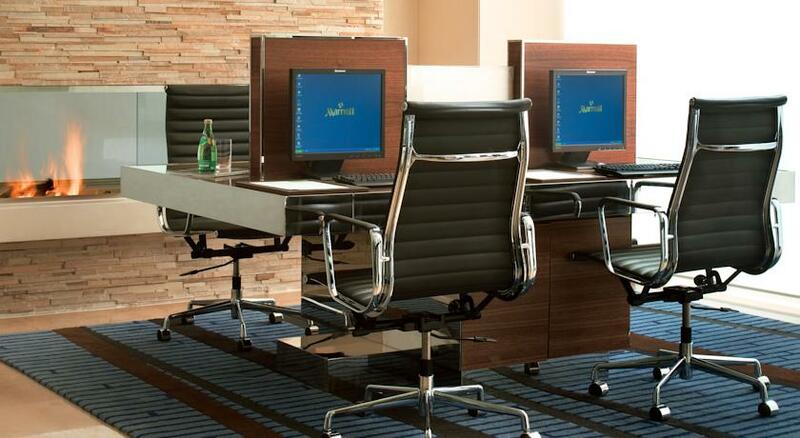 The hotel has 877 square meters of area dedicated to conferencing and banqueting itself. This area can be used for private get together as well as corporate occasions such as product launches. Shuttle services are also available from and to the Airport and railway station. The swimming pool and health center are both of the highest standards. 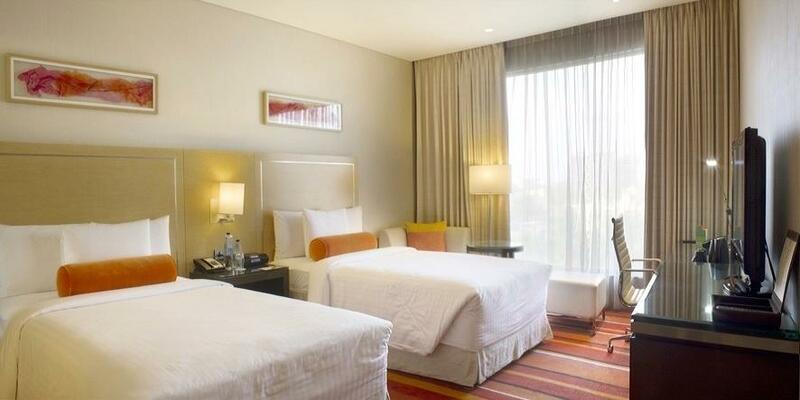 Other facilities of this hotel are free valet parking facility, round the clock room service, laundry facility, currency exchange, library, travel desk and a dedicated front desk. 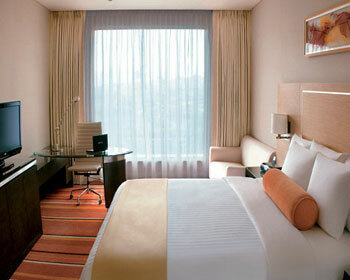 The deluxe room of this hotel is very subtly designed to provide one with a stay of comfort and luxury. 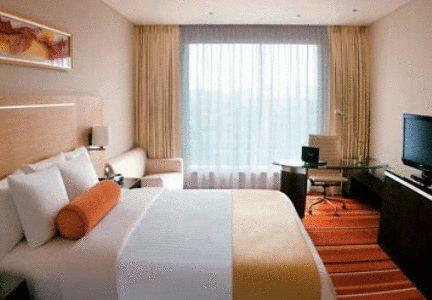 The room prohibits smoking and is completely air conditioned. 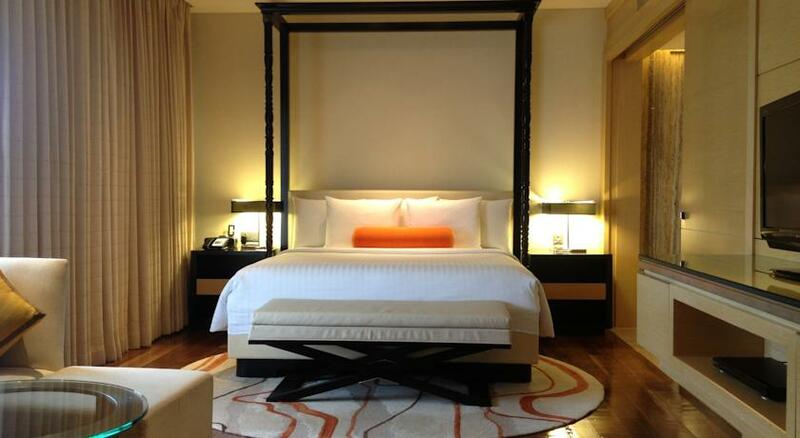 The beds are decorated with some beautifully done fabrics and comfortable pillows. The living area has a well-furnished seating area for friends and loved ones. The large bay windows are soundproof and offer a spectacular view of the city. 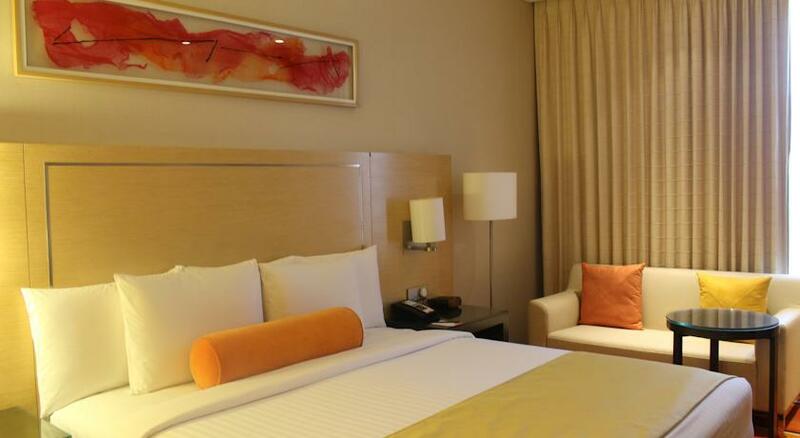 The executive deluxe room comes with exclusive access to the executive lounge where one can enjoy morning continental breakfast as well as evening tea and desserts. 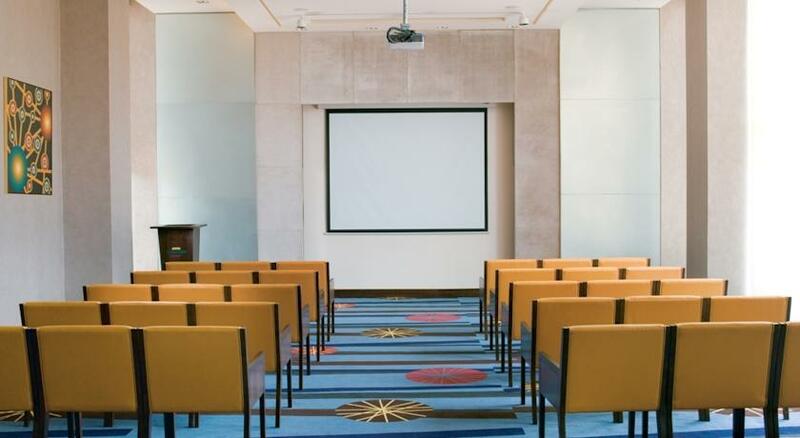 The air conditioned room is completely done in elegant wooden furniture’s and the guests also enjoy access to the business services at a very small fee. The LCD 32 inch TV entertains the guests all day long with its variety of local and national channels. 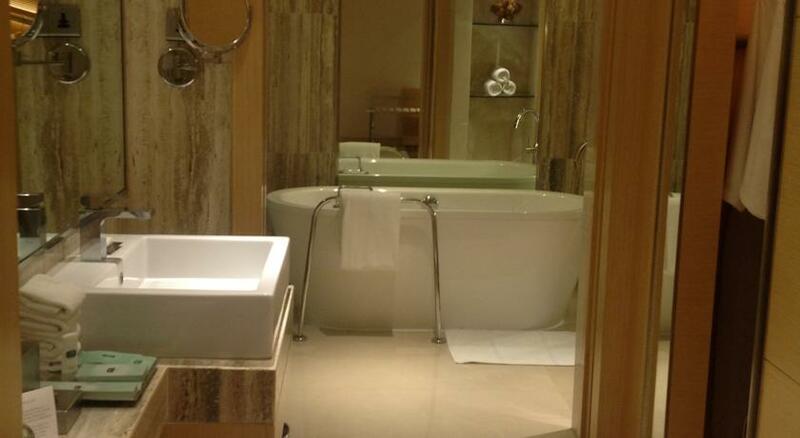 The en suite bathroom has a deep sunk bath tub ad a shower cubical with all required bathroom toiletries. The other amenities of the room include an iron with ironing board, hair dryer, internet Wi-Fi access, luggage storage, mini bar, electronic safe, tea or coffee maker, round the clock hot and cold water and a direct dialling telephone. 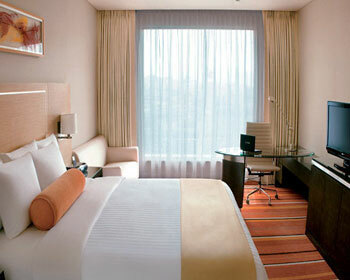 The junior suite offered here is very elegantly designed with all modern amenities required for a comfortable stay. 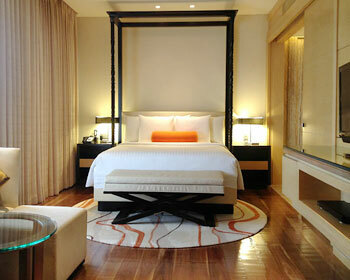 The rooms have beautifully crafted wooden beds which are decorated with white linen and neat comfortable pillows. The living room is furnished with a well cushioned sofa and a centertable for the guests to sit and relax with friends and loved ones. 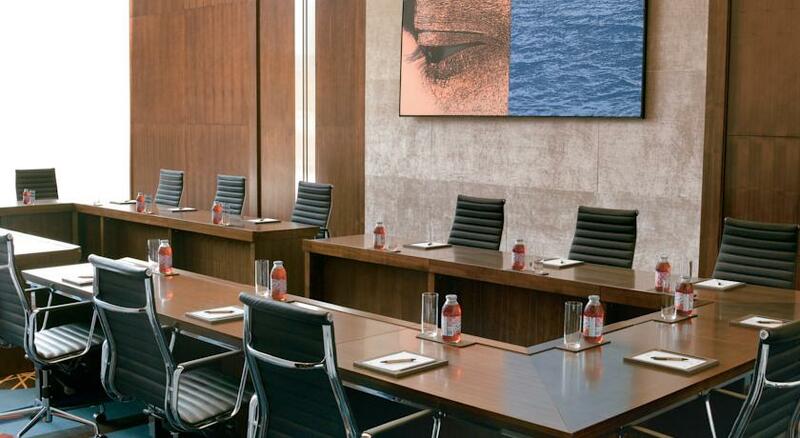 The free access to the executive lounge includes complimentary breakfast and evening coffee. There are two 32 inch LCD colour TVs and along with the wireless internet access theymake sure the guests are always entertained and connected with the rest of the world. The private en suite bathroom has a shower cubical and a deep soaking bath tub along with all required bathroom toiletries. The other amenities of the room include packaged drinking water, luggage storage, wardrobe, work desk, round the clock hot and cold water, tea or coffee maker, night lamps, mini bar and two direct dialling telephones. 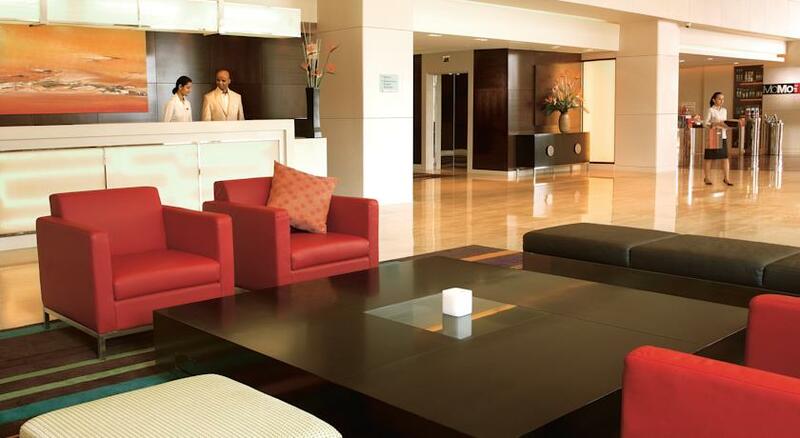 The in house 24 hour café of the hotel offers a fine dining experience in its clean and spacious dining hall. The café offers a variety of western, Indian and Asian food in its buffet breakfast, lunch and dinner menu. The hotel also has a a-la-carte menu for the guests to order from. The Alfresco is an open to sky grill restaurant which offers an array of Indian and International dishes in its a la carte menu. The place is famous for the variety of kebabs, sizzlers and barbecues. 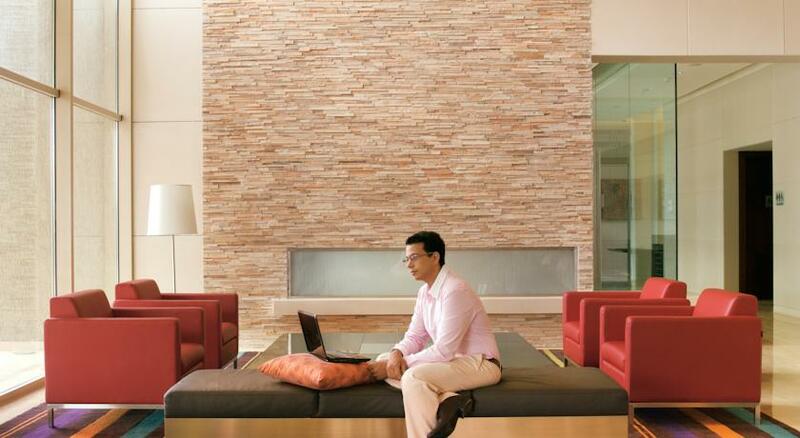 The place has a very relaxing ambience and is an ideal place to unwind after work. The Momo bar is the in house bar of the hotel and offers a wide collection of Indian and imported liquors, wines and cocktails. The place is an ideal point to catch up with friends and loved ones. Momo 2 Go offers a variety of coffee and tea for the guests to start or the end the day with. The place oversees the city and the patrons can gorge on to some lip smacking sandwiches, pies, pastries and cakes. One can also order some food for the trip and pick it up from the counter.